Like millions of people, I got royal wedding fever so bad about 3 days before Prince Harry and Megan Markel wed. Not personally I prefer Kate Middleton over Megan but who doesn’t love a royal wedding?! The glitz and glamour and all the pomp is just too much for me to resist. After the wedding was over I was desperate for something to read that would be similar to the real life fairy tale. I wasn’t entirely sure that I wanted to read a biography on Megan or Kate or Diana or the royal family, but I was sure that I wanted to read something in that vein. That’s when I found The Royal We. 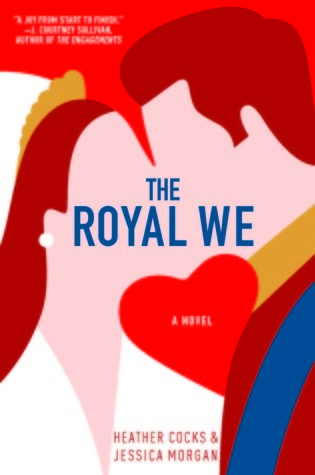 It sounded like the book I had been looking for…..fiction but yet enough reality to satisfy my royal wedding fever not to mention romance. I rushed to my library to pick up a copy and immediately busted into it when I got home. American Rebecca Porter was never one for fairy tales. Her twin sister, Lacey, has always been the romantic who fantasized about glamour and royalty, fame and fortune. Yet it’s Bex who seeks adventure at Oxford and finds herself living down the hall from Prince Nicholas, Great Britain’s future king. And when Bex can’t resist falling for Nick, the person behind the prince, it propels her into a world she did not expect to inhabit, under a spotlight she is not prepared to face. Dating Nick immerses Bex in ritzy society, dazzling ski trips, and dinners at Kensington Palace with him and his charming, troublesome brother, Freddie. But the relationship also comes with unimaginable baggage: hysterical tabloids, Nick’s sparkling and far more suitable ex-girlfriends, and a royal family whose private life is much thornier and more tragic than anyone on the outside knows. The pressures are almost too much to bear, as Bex struggles to reconcile the man she loves with the monarch he’s fated to become. Which is how she gets into trouble. Now, on the eve of the wedding of the century, Bex is faced with whether everything she’s sacrificed for love-her career, her home, her family, maybe even herself-will have been for nothing (summary from Goodreads). This book is unapologetically Kate Middleton fan fiction and I am 100% ok with that. While the main character is from America, it is very clearly meant to be Kate. Now I could care less if this book is fan fiction because that basically what I was looking for…..to royal family/couple but yet fiction. On that front everything was as expected. This book was so so so hard for me to review though. I have so many feelings about this book and not all of them good. I had a hard time likely Bex. She just wasn’t what I was expecting. I mean she was meant to be down to earth and relaxed….not like the blue bloods that Nick had been dating but yet there was something about here that just didn’t have polish or refinement. I had a hard time buying her as so captivating and intriguing to the future king. She basically seemed like a hot mess throughout the book and in my mind a future duchess should be mostly stable. I understand that they met in college—in this case Oxford—which was believable and all, but the barrage of alcohol fueled nights were a little hard to believe. Yes I get that college usually means bad choice and too much alcohol and the freedom to really screw up your life because that’s what college kids do, but for me it was a little too much in this book. As for Nick he was charming and fit into the role of prince charming quite well. Though if I had to hear about his ‘cornflower eyes’ one more time I might scream ‘I get it he has blue eyes’ while reading—but on the whole I liked him. I especially liked how he was almost two characters in one—Prince Nicholas and just plain old Nick. I thought that was a very accurate description of what a prince would have to deal with. I thought his love for Bex was genuine and I thought in many cases he acted appropriate for his position and role. I absolutely detested Lacey—-even from the beginning. She came off as this whiney, immature, malicious, lime light stealing, opportunistic, jealous, bratty twin sister. Bex kept talking about the twin bond which ok yes twin bonding is a real thing but in this case the way Lacey treated Bex and Nick and everyone else for that matter was disgusting. Bex was way too forgiving and understanding of Lacey across the board in everything. I especially hated her by the end even more than the actual villain in my opinion. The plot was interesting but not quite what I was expecting. The way the authors utilized the press really illustrated the pressures that celebrities and other public figures often face. It really gave me pause and made me think about how much the media twists and turns things to suit their purpose. Its a terribly ugly thing and yet a very real thing for people like Kate Middleton and Megan Markel. I liked how the press fit into the story and helped shape and move the characters through the plot. However, I was frustrated that the plot was kind of depressing. I was hoping for way more romance and Cinderella-ness about it but instead I got a 1990s after school special with loads of alcohol where the characters just happen to be royalty. There were many times in this book that I giggled but more times that I spent being sad and worried for so many of the characters but not in the good kind of way. You could see what was coming for both Nick and Bex throughout the story and yet they just couldn’t stop it. I was jealous, sad, upset at Nick and then at Bex, and Lacey throughout the story and by the end I was just like for the love of go please let it be over! I didn’t care for the ending. I felt a little cheated with all the build up and hype. I also felt like it was a rushed ending and left readers feeling like ‘that was it?!?!?’. So as you can see, I had a lot of issues with this book……but…….I literally couldn’t stop myself from reading. I was completely wrapped up in the royal melodrama and I couldn’t stop. I mean this book was pure indulgent trash and I was 100% ok with that too. As I said, it was a difficult book to review but I think I would settle with 3 stars. 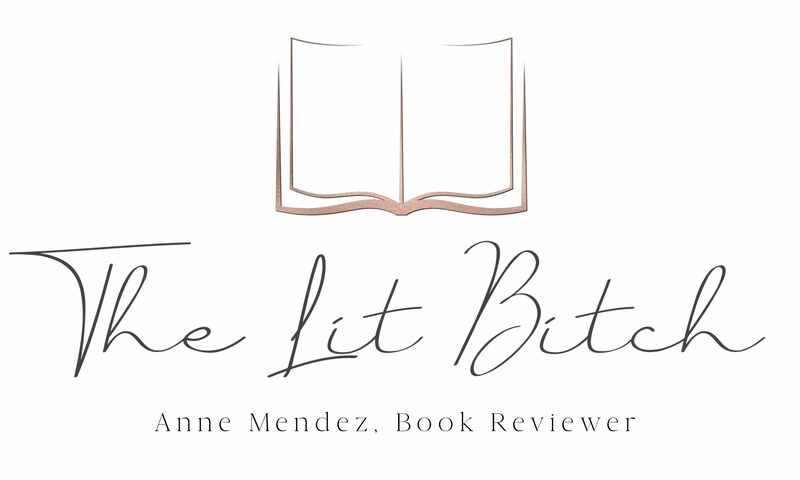 It satisfied my desire to read something in the vein of the royal wedding and it was a book that I continued to think about even after I put it down…..I often found myself having internal dialogue about the characters however the plot was a little too depressing and I literally still hate Lacey and could never forgive her. Plus I feel like I have a hanger over from reading this book…..both from the large amounts of alcohol consumed throughout the book and an emotional hangover.